I attended a crochet class yesterday with some women in my neighborhood. While we were trying to figure out how to “chain” we started to discuss food. Why we were talking I have no idea? We were trying to count out 144 chain stitches. This process took me probably one hour with three attempts. I know how to chain. What’s wrong with me? Probably because I haven’t crocheted in about 30 years…Oh I diverted…back to the food conversation. Two of the women began to talk about how much they hated coconut (you know who you are). 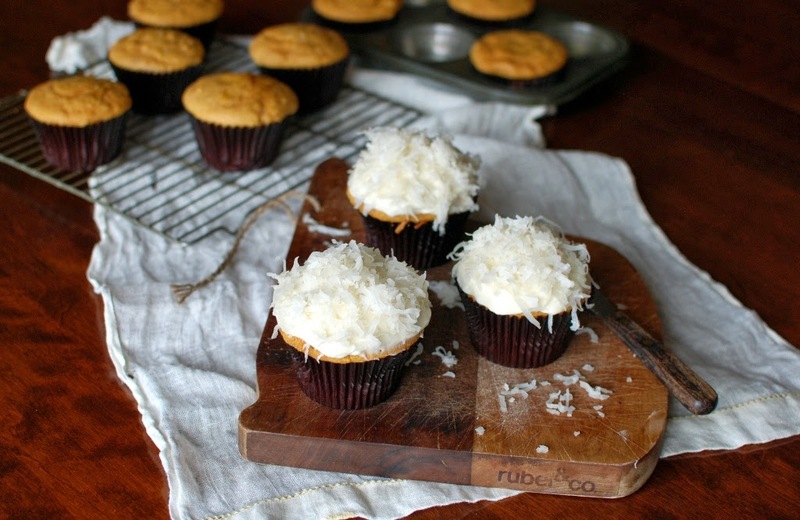 In my mind I was thinking, “Oh shoot, I was planning on posting pumpkin coconut cupcakes. Now what?” Now what nothing! 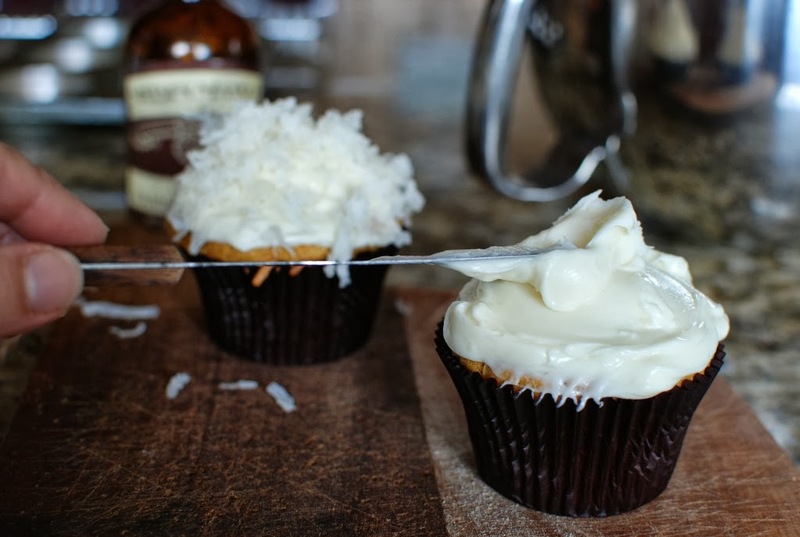 I love coconut and I’m baking the cupcakes. You always have the option of leaving the coconut out of the recipe. I don’t know why you would want to do that, but it is your choice. Just don’t tell me because I will judge you. 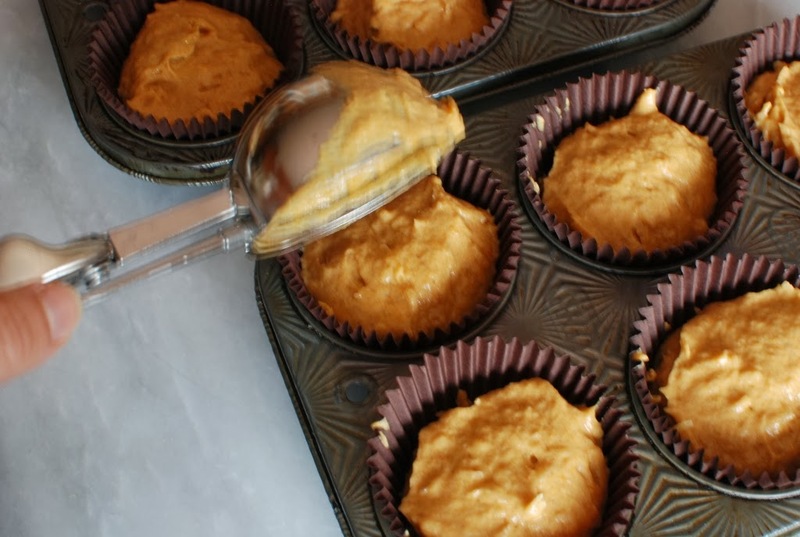 Now is the season to put pumpkin in everything you bake. You must because it’s the rule of the season. 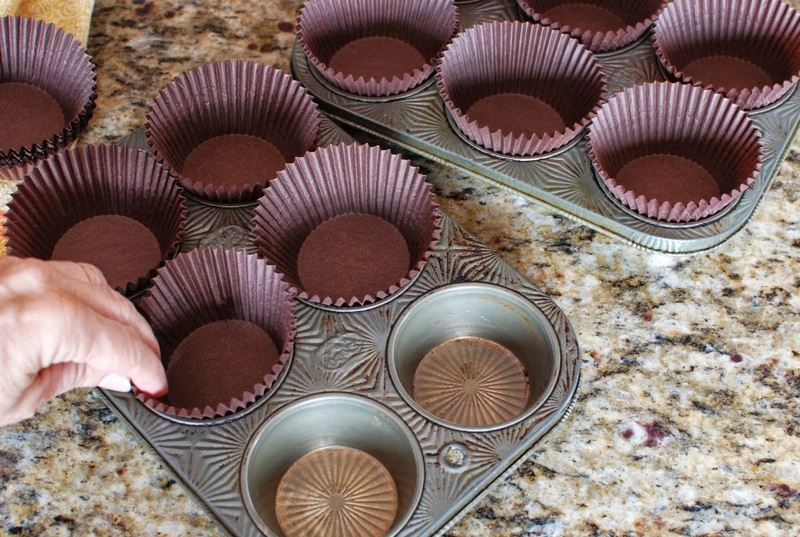 Place paper cupcake liners inside 15-18 muffin tins. My liners are a bit larger than normal. I will only get about 15 cupcakes out of this recipe. Set aside. 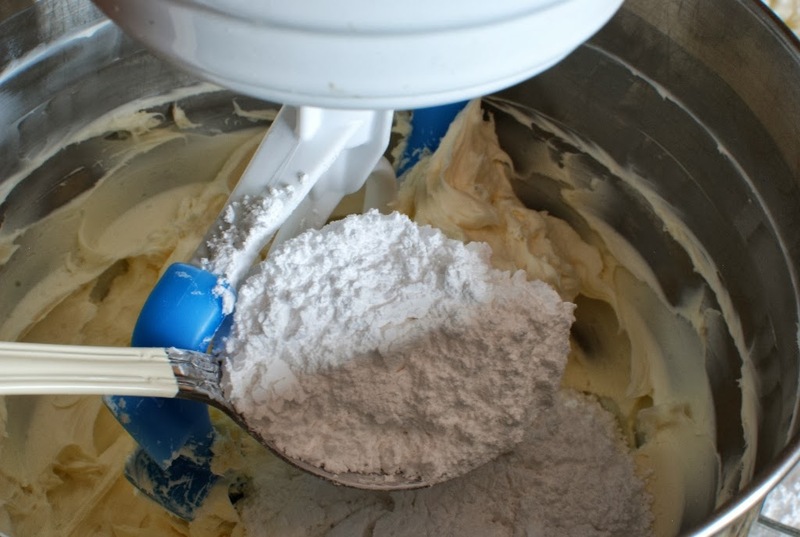 To the 2 1/2 cups flour, add 3 teaspoons baking powder, 1/2 teaspoon salt and 1/4 teaspoon baking soda. Add 1 1/2 teaspoons cinnamon. You can always substitute pumpkin pie spice if you would like. 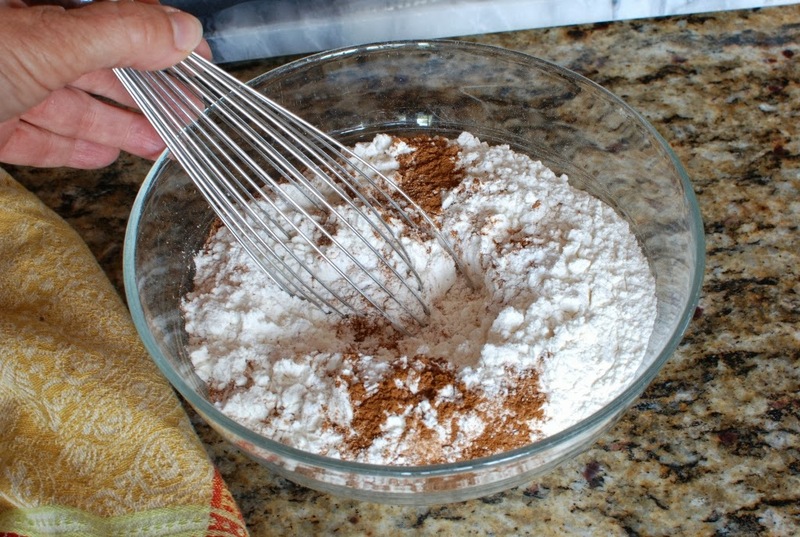 1/2 teaspoons fresh grated nutmeg, if available. 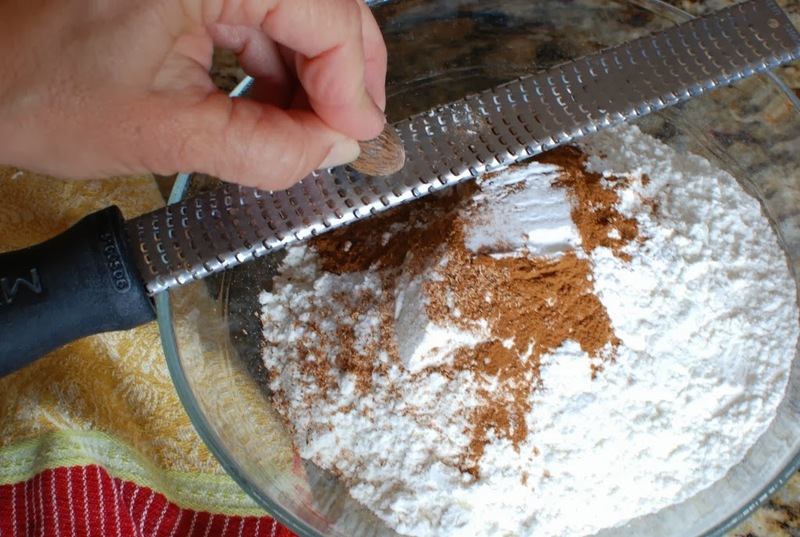 If not just use purchased ground nutmeg. 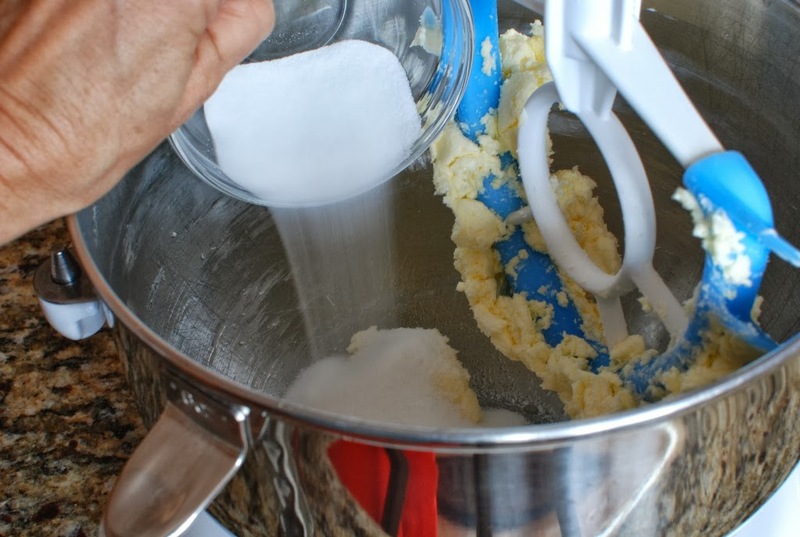 In a large mixing bowl add 6 ounces softened butter. 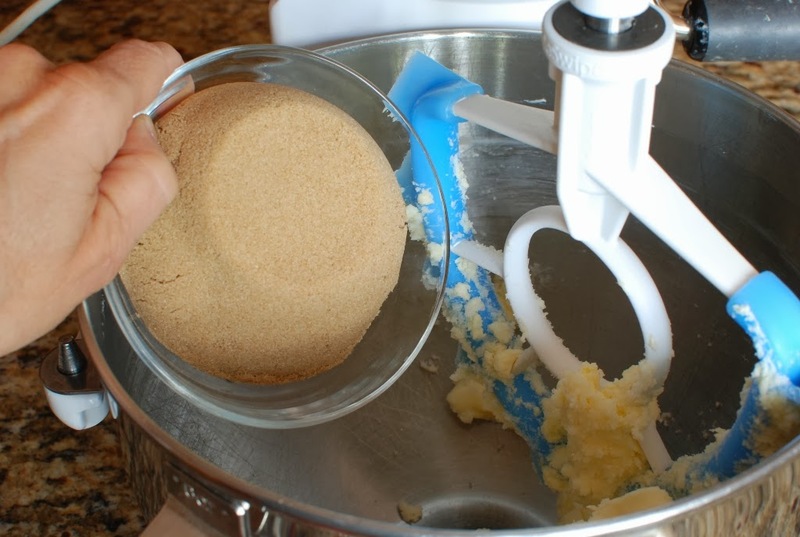 1 cup brown sugar. 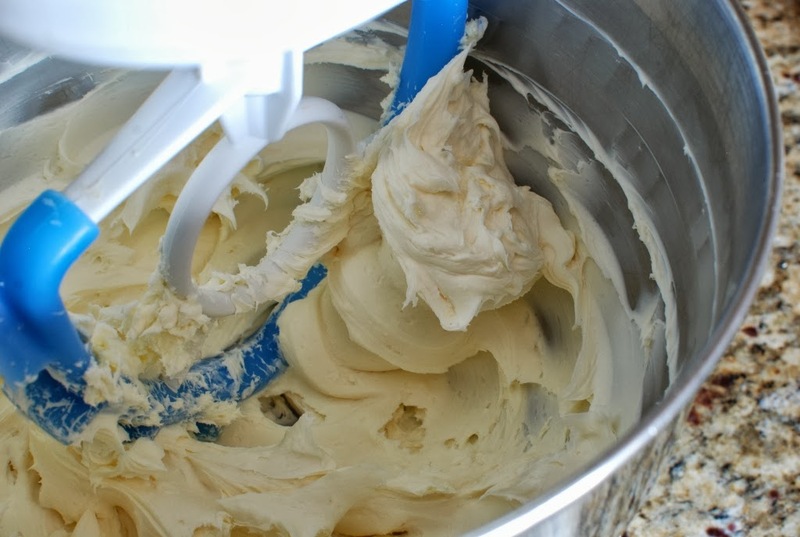 Beat until creamy and smooth. 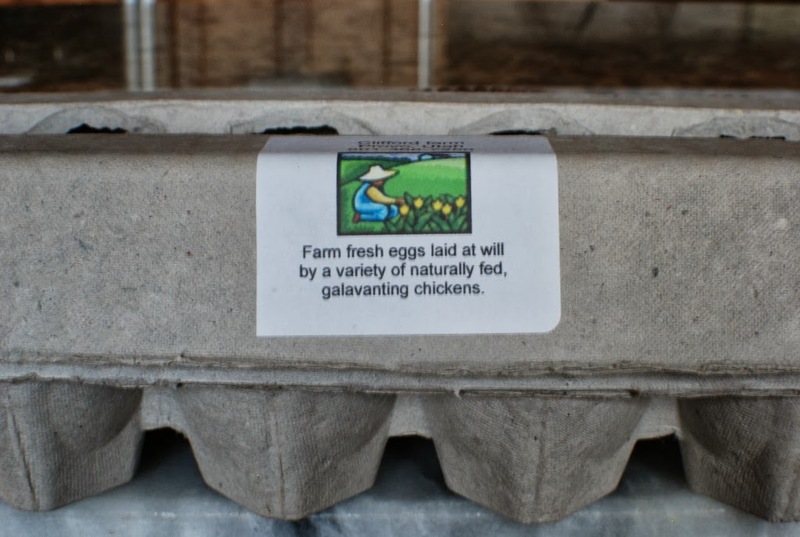 I love the sticker on my eggs that I purchased from a local farmer. 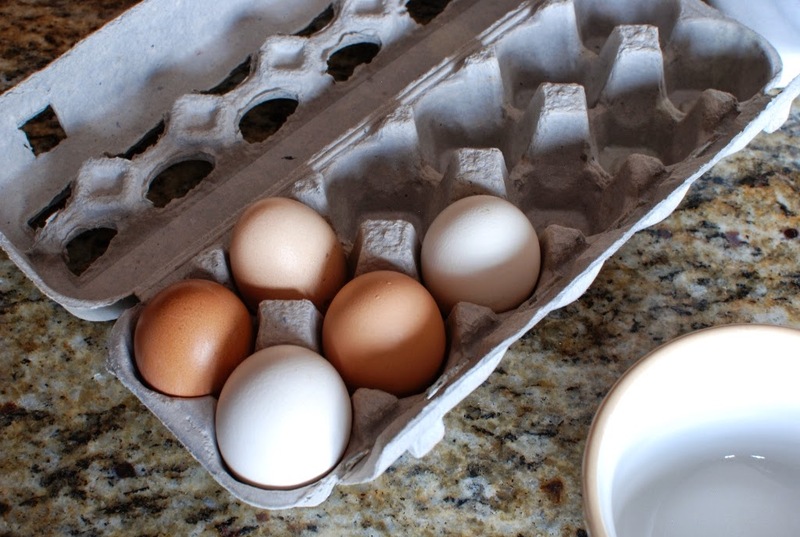 I forgot the eggs in my first photo. You will need three. 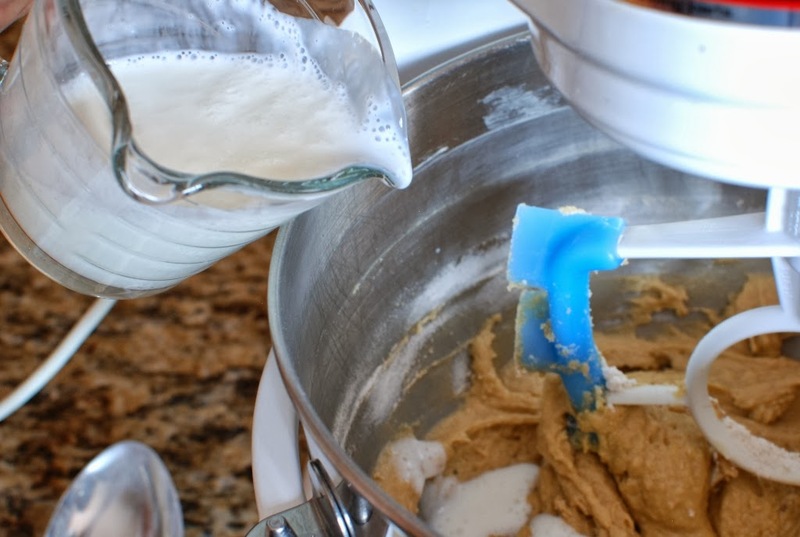 Now I will add the flour mixture into the batter in thirds alternately with 3/4 cup buttermilk. 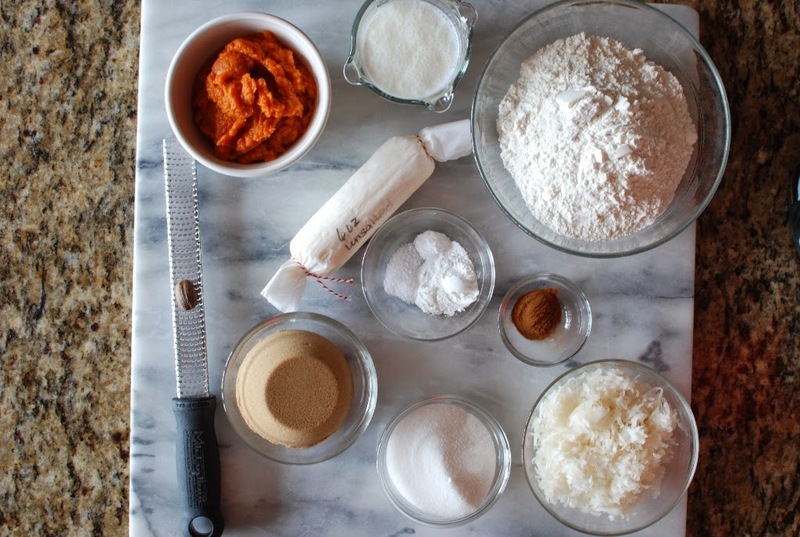 Beginning and ending with the flour. 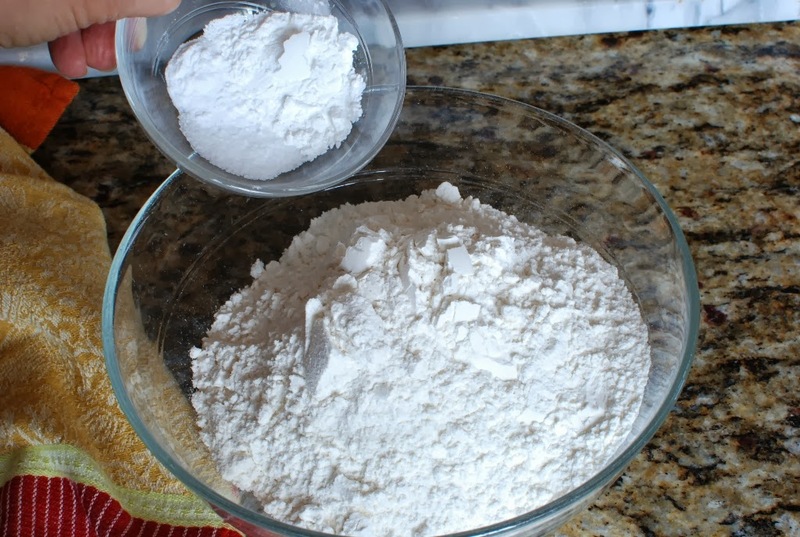 Add 1/3 of the flour. Add 1/2 of the buttermilk. Add 1/3 of the flour. Add remaining buttermilk. Add remaining 1/3 of the flour mixture. See the pattern? It’s pretty simple. 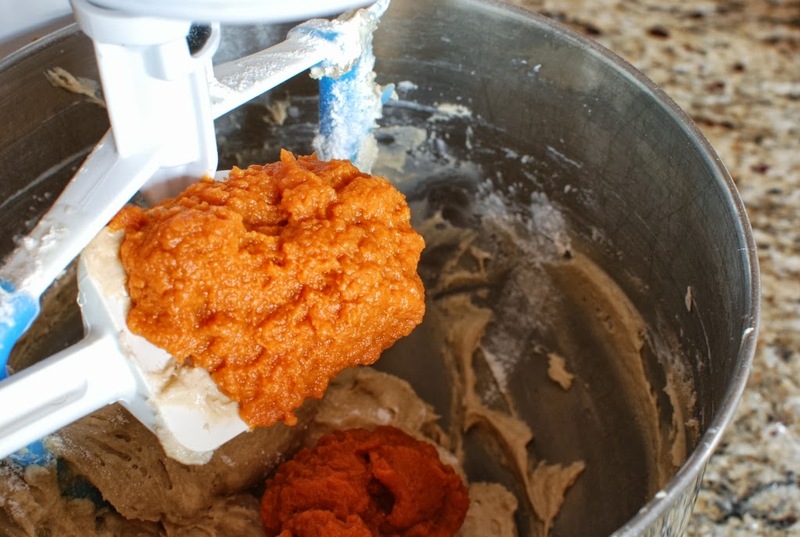 Add 1 cup cooked pumpkin. 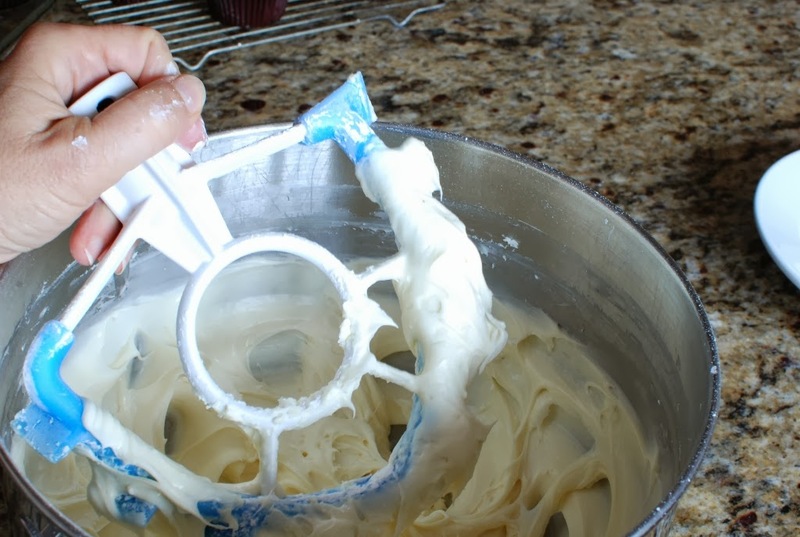 Fold in 1 cup flaked coconut. 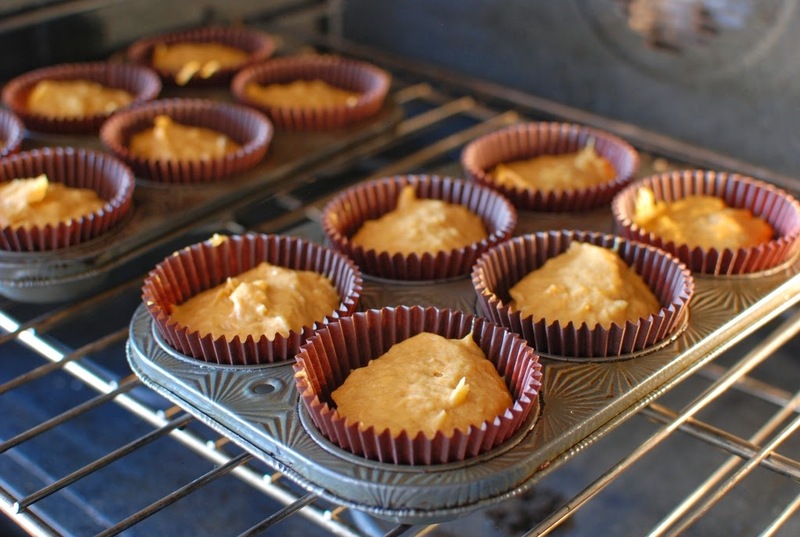 Divide batter evenly among the baking cups. Place in a preheated 350 degree oven and bake for 20-22 minutes. Cupcakes should spring back to the touch. Remove from the oven and cook completely. 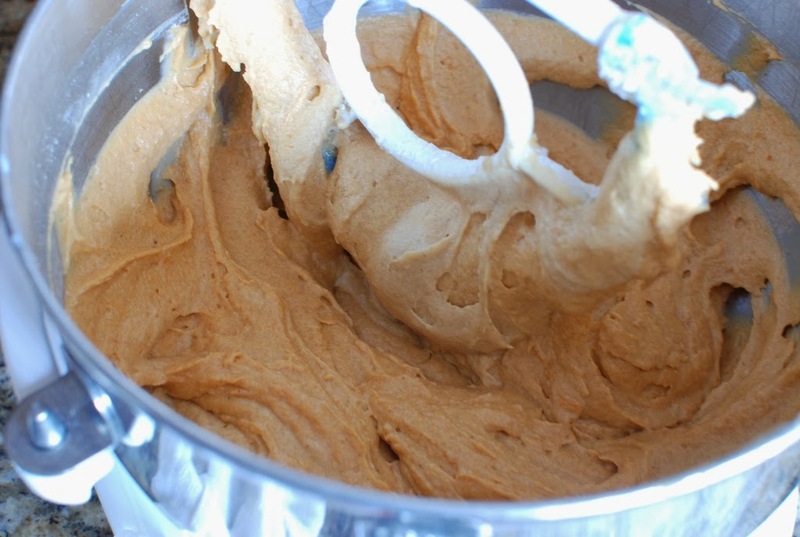 In a large mixing bowl add 1 lb of softened cream cheese and 4 ounces or 1/2 cup softened butter. Add 3 cups confectioners sugar. 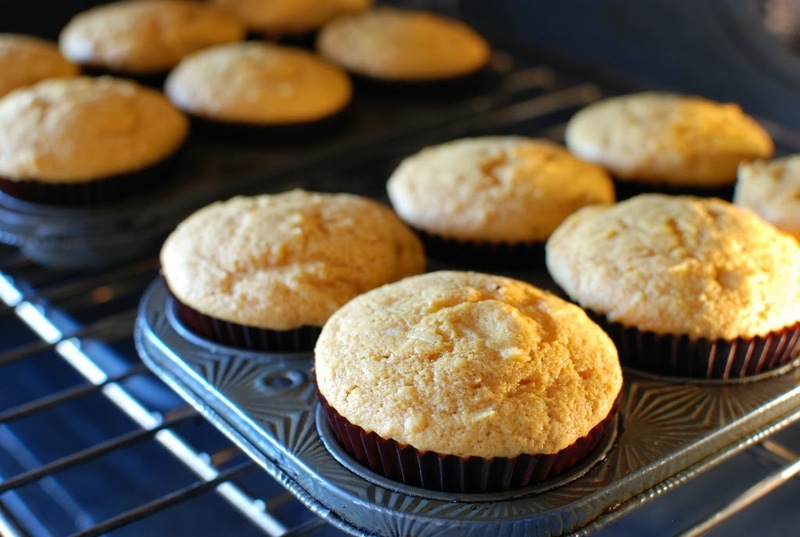 Ice cooled cupcakes. Icing may be placed in a pastry bag and piped out decoratively. I decided to do a rustic icing and make them look homemade. The fact that I’m “piping” challenged has nothing to do with my decision. Garnish with more flaked coconut. 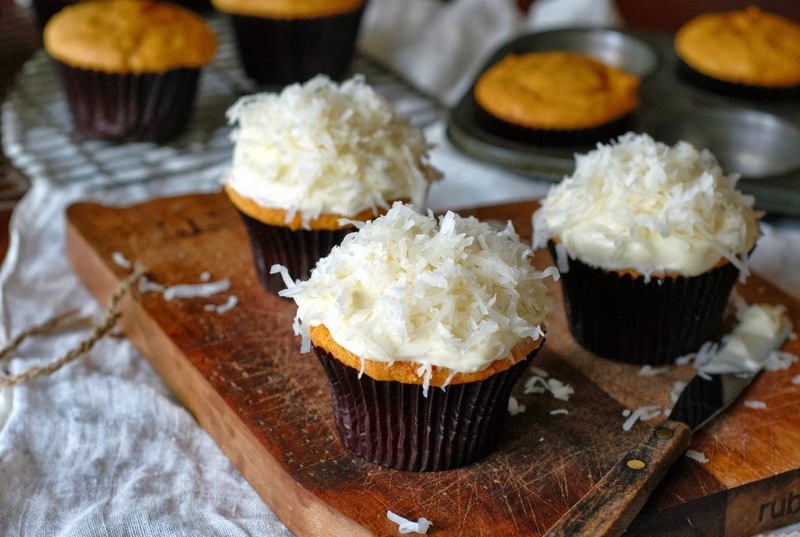 Pumpkin cupcakes WITH the coconut. Because I LOVE coconut. 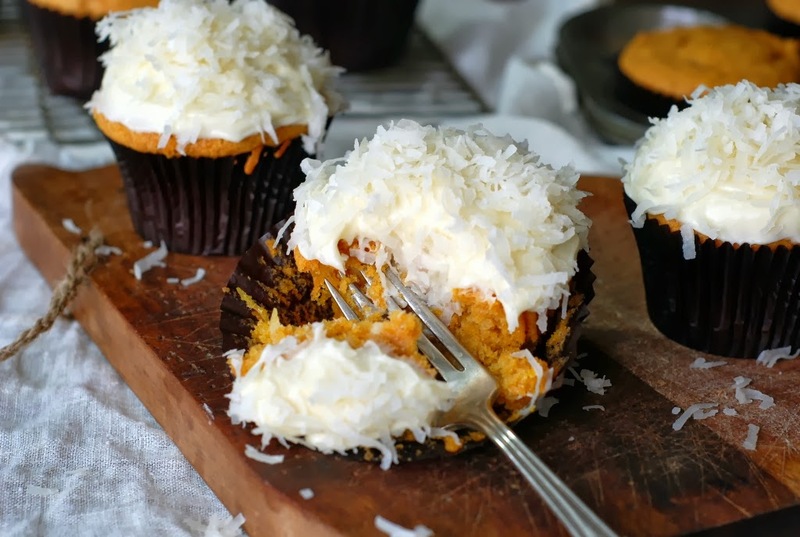 Pumpkin and coconut go really well together! I hope you enjoy this wonderful fall recipe. Line 15-18 muffin tins with paper liners. Set aside. Preheat oven to 350 degrees. 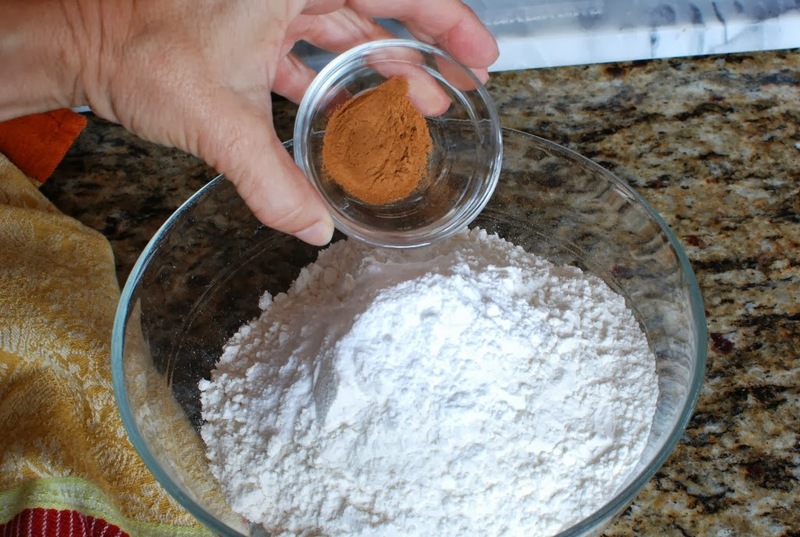 Sift together flour, baking powder, salt, baking soda, cinnamon and nutmeg. Set aside. 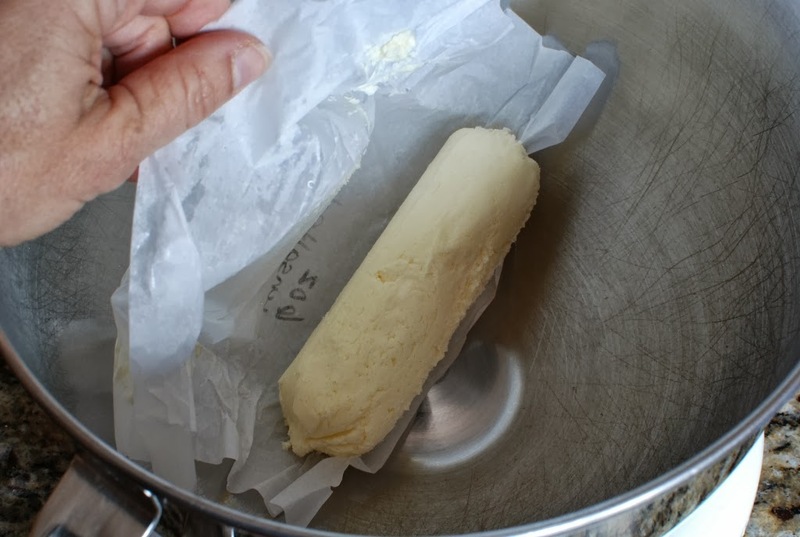 In a large mixing bowl beat butter on low speed until smooth. Add brown sugar and sugar. Beat until fluffy. 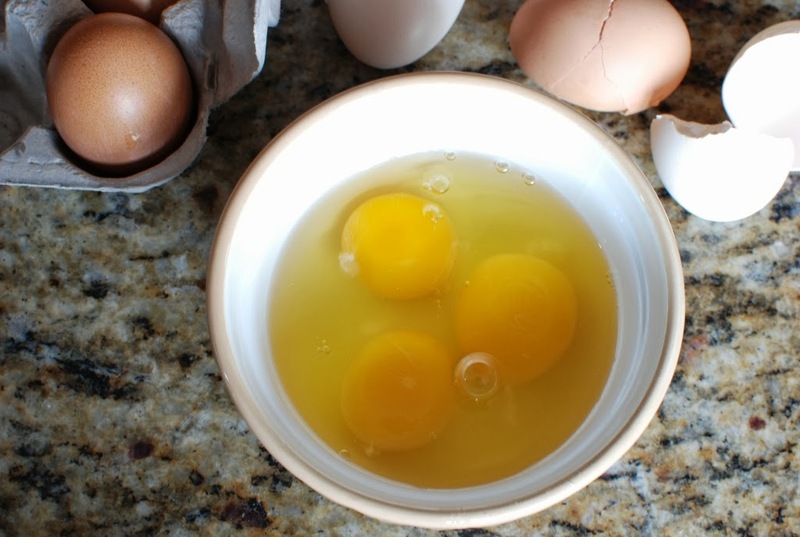 Add eggs, one at a time beating well after each addition. 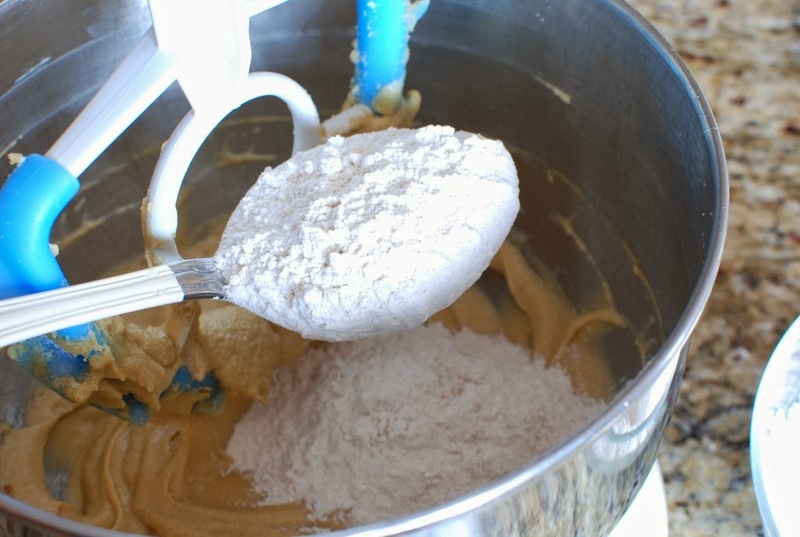 With the mixer on low speed, add the flour mixture and buttermilk alternately to batter beginning and ending with flour. 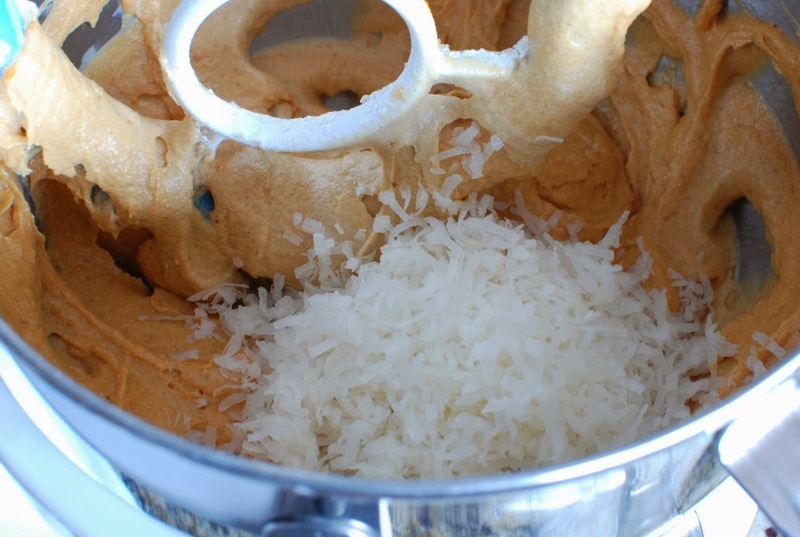 Add pumpkin and coconut. Mix just until well incorporated. Divide evenly into paper liners. 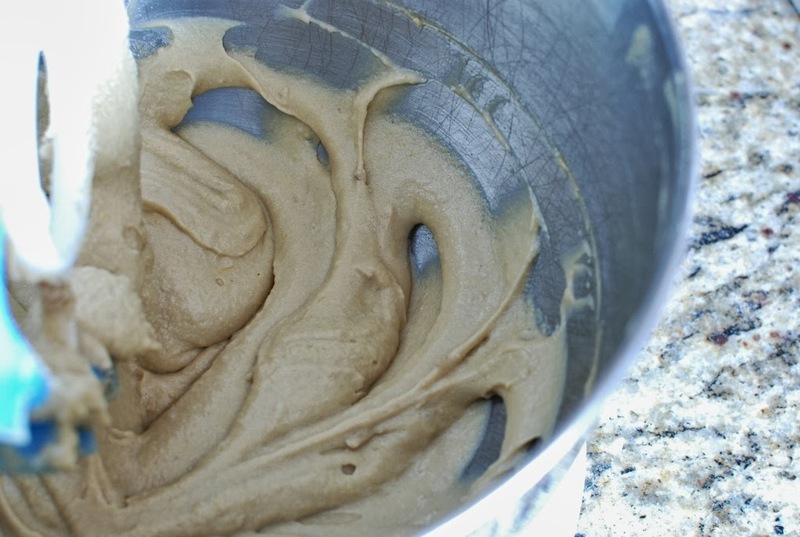 Bake for 20-22 minutes or until the top is lightly springy to the touch. Remove from oven and allow to cool completely. 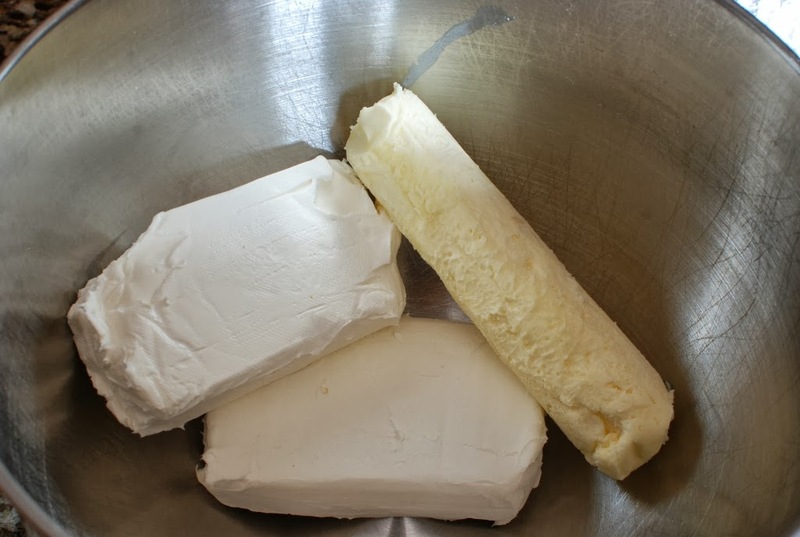 Cream butter and cream cheese together. 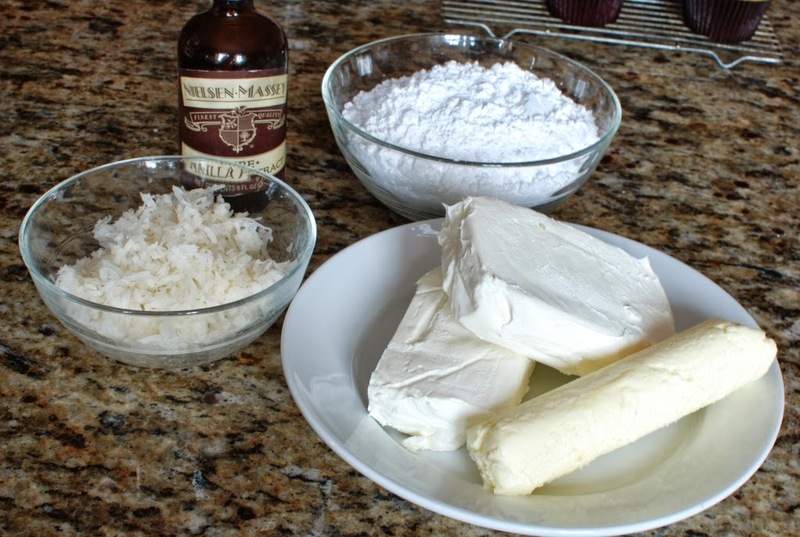 Add confectioners sugar and vanilla. 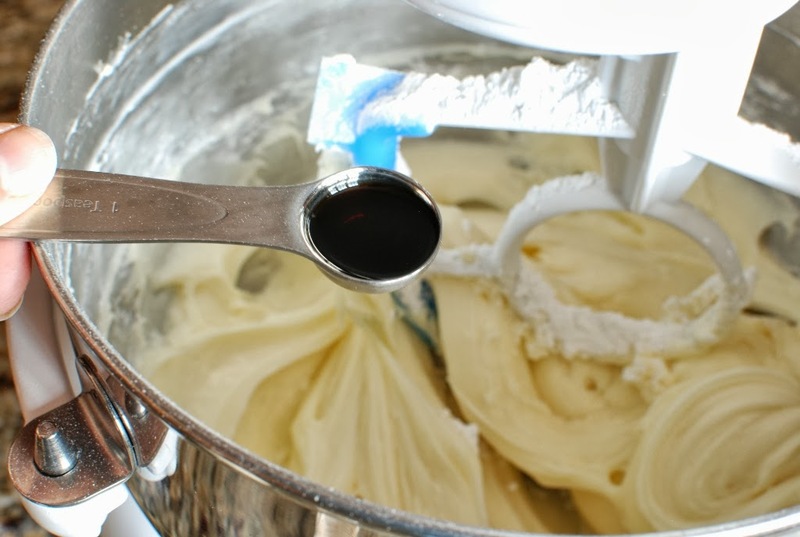 Beat until smooth and creamy. Garnish tops with flaked coconut. 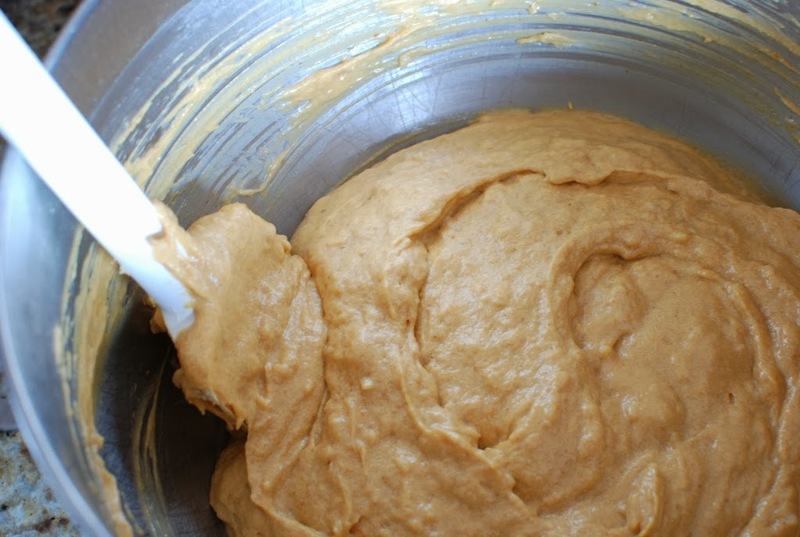 Recipe can be made into a 9 x 13 cake or divided into two 8-inch round pans. 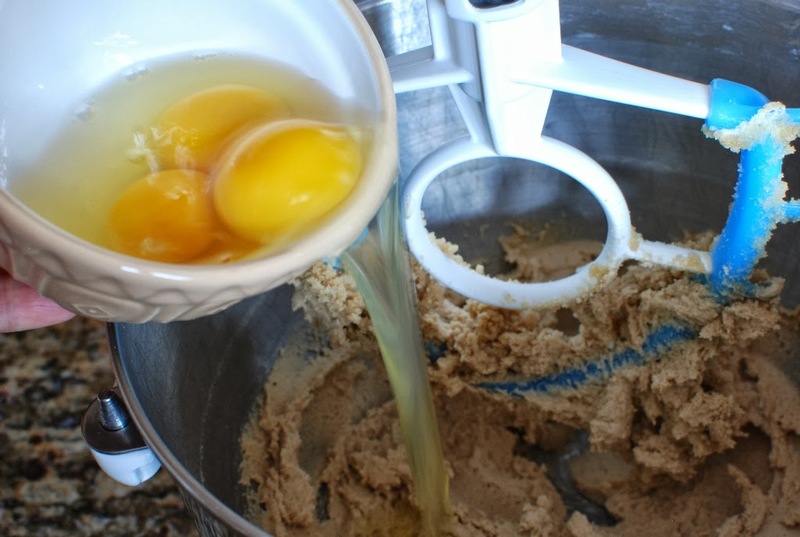 Grease and flour before pouring batter into the pans. Bake 9 x 13 for 30 - 35 minutes. Bake 8-inch rounds for 25-30 minutes. Filed Under: Cakes and Cupcakes Tagged With: autumn, cream cheese icing, cupcakes, pumpkin, pumpkin cake, pumpkin coconut cake, pumpkin coconut cupcakes, pumpkin puree, step-by-step instruction, step-by-step photo's. 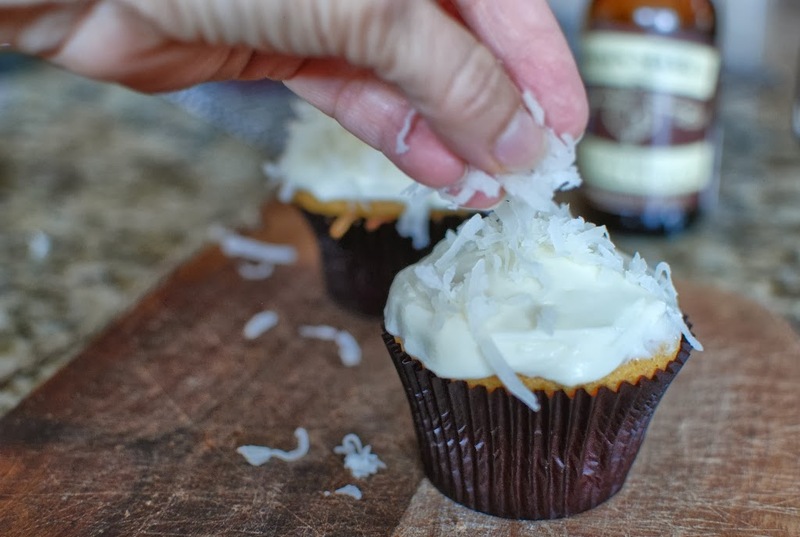 Are the coconut flakes sweetened or unsweetened? Thanks! These look yummy! Where do you get your slightly larger liners from? fancyflours.com Sometimes they have great sales on their muffin liners and I stock up. One of my grandmothers has this CRAZY hate for coconut. She even gags when she sees coconut! I never get it. Those cupcakes looks so good, does the coconut flavor really pops out? Or is more like a under taste? That's so funny. My dad lived in Tahiti for a few years before he married. We were raised on coconut. If you don't like coconut around here, you're out of the family! Jajajajajaja, well, here in Argentina if you don't like coconut you are toasted. In a traditional bakery they put it in almost half the stuff! And hating the dulce de leche and coconut mix is generally frowned upon. 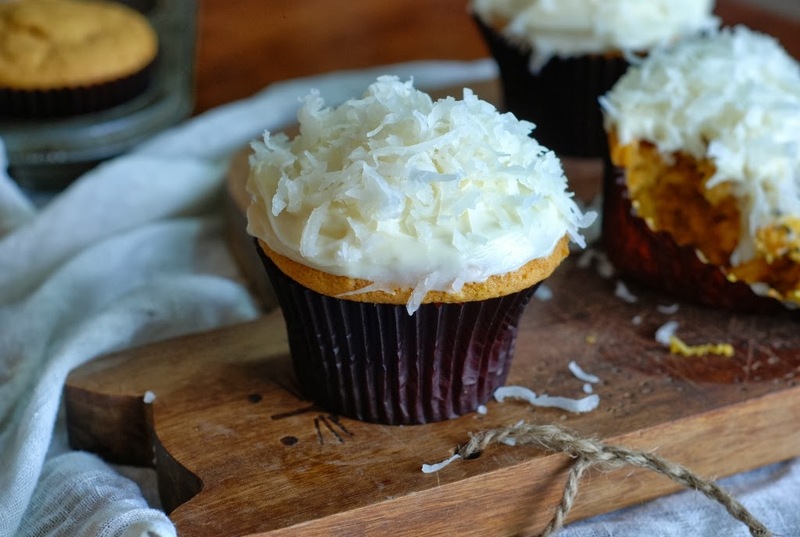 I love coconut and pumpkin and cream cheese frosting. These look divine!! Thanks, Lori. They are delicious. These look amazing – I can't wait to try them! I've never understood people who hate coconut!!!! I love coconut but some of my family don't, meaning I don't get to bake with it as much as I'd like. Maybe I'll see if this recipe will make them change their minds!